Steve has been directly involved in the landscaping industry for over a decade. He has a great practical knowledge base from over ten years working on the ground, where he initially started working on the tools as a landscaper in Sydney, then in Auckland, before moving back to Christchurch. 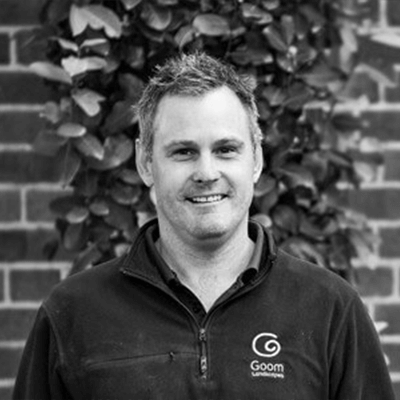 He worked as a Foreman for Goom Landscapes for two years before stepping up to take on the role of Project Manager, giving him an in depth understanding of how we tick. Steve enjoys being involved in all facets of our process, which allows him to communicate with the client and be the point person. “Ensuring that our clients, designers and construction teams are all working towards the same outcome is my goal. Indeed at times the pressure of the role can be challenging, however it is immensely satisfying to be able to enjoy a beer in a completed LifespaceTM with our clients”. In his free time Steve enjoys spending time with family and friends, good food, a cold beer, and is a keen sportsman.